UK retailers Clove and Expansys have both unveiled that they will receive stock for the ATIV S this coming Friday. The retailers have Samsung products listed on their websites, and we've all been eager to see when both will be readily available from sources here in the UK (as well as other markets). Samsung is pushing a Windows Phone 8 smartphone, as well as a handful of Windows products that were all unveiled back in June at IFA 2013. It was the first Windows Phone 8 device to be announced and will be among the last to come to market, which has surprised and angered many consumers who were looking forward to picking up the handset earlier in the year. The ATIV S sports an 8MP rear shooter (with a 1.9MP front-facing camera), 4.8" HD Super AMOLED display, dual-core 1.5 GHz Snapdragon S4, 1GB of RAM, 16GB of internal storage with expandable microSD slot, 2300 mAh battery and NFC. It would appear as though December 14th could well be a global release date. We previously squashed reports that the ATIV S would be delayed until February 2013 and now the device has finally started to show its head from around the corner. In the meantime, Samsung has been working with partners, including O2 here in the UK, to build momentum for its Windows Phone product. 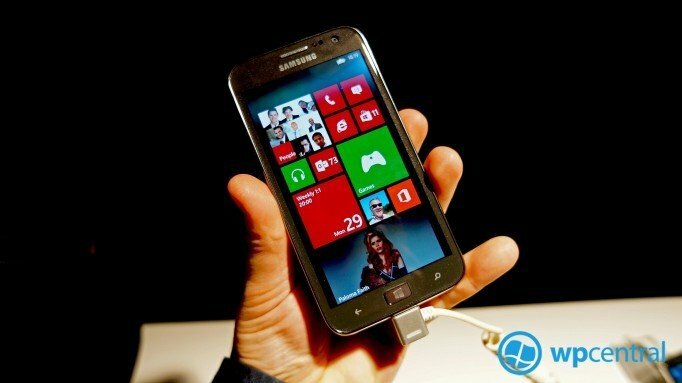 As well as the Windows Phone from Samsung, Clove will also be stocking the ATIV Tab. The Windows RT tablet features a 1.5GHz dual-core processor, 10.1" HD LCD display, 5MP rear camera (with 1.9MP front-facing camera), 32GB internal storage, S-GPS & GLONASS, WiFi, NFC, Bluetooth 4.0, MicroSD slot (up to 64GB) and a MicroHDMI port. You can pre-order the Samsung ATIV S, which is listed for £442.80 (as well as at Expansys for £459.99), while the ATIV Tab is priced at £538.80.